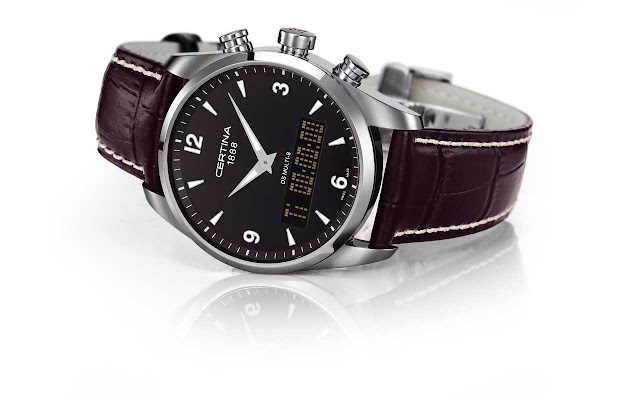 Certina has distinguished itself once again, this time with an innovative timepiece housing a multifunctional quartz movement with an analogue and digital display. This new creation offers a whole range of useful features: a double time zone with the hour and minute hands on the analogue display, and a week date, timer and chronograph on the digital display. Unpretentious at first glance, the Multi-8 reveals its true technical colours when any one of its three pushpieces is activated.